Now that we’re all in full on Christmas and Hanukkah mode with lots of holiday cards arriving in the mail, I decided the perfect DIY project for this month would be making a card holder wreath make with clothespins! Our shade feature this holiday is our Luxe Pattern Light Filtering Roller Shades. They offer minimalistic style that’s really chic because they allow you to have bold prints that could be too much for full on curtains. I personally love roller shades for their functionality. Privacy and light blockage are there when you want it, gone when you don’t. Either the hoop option or wire will work equally as nice and sturdy. I’m going to make both types with you today for demonstration purposes. Depending on what you already have on hand this project will cost you under $10 to make! This project is made by simply gluing clothespins to either an embroidery hoop or wire form wreath. If you don’t have either you can simply shape a wire hanger into a circle and clip the clothes pins to the hanger. This DIY project is a very simple way to neatly showcase all the beautiful holiday cards you receive from friends & family instead of taping them to a wall. 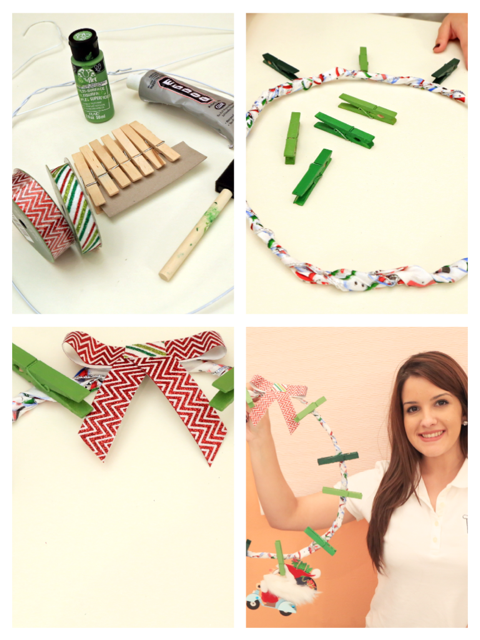 STEP 1: Paint our clothespins and hoop or wire hanger. For the Wire option I’m going TRADITIONAL and am using 2 different color greens to contrast with red bead décor. STEP 2: Hot glue your clothespins onto your hoops with the handle facing the inner circle as such after you have arranged them in the sequence you want to achieve. Just a bit of glue will do. 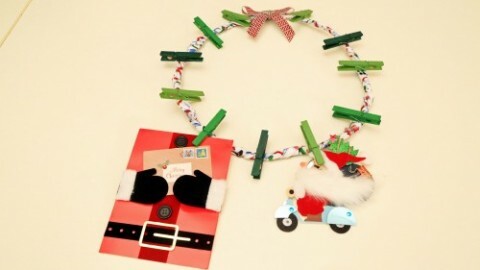 STEP 3: Get creative and add your own personal touches with ribbons, holly or anything you would like! It’s totally up to you! 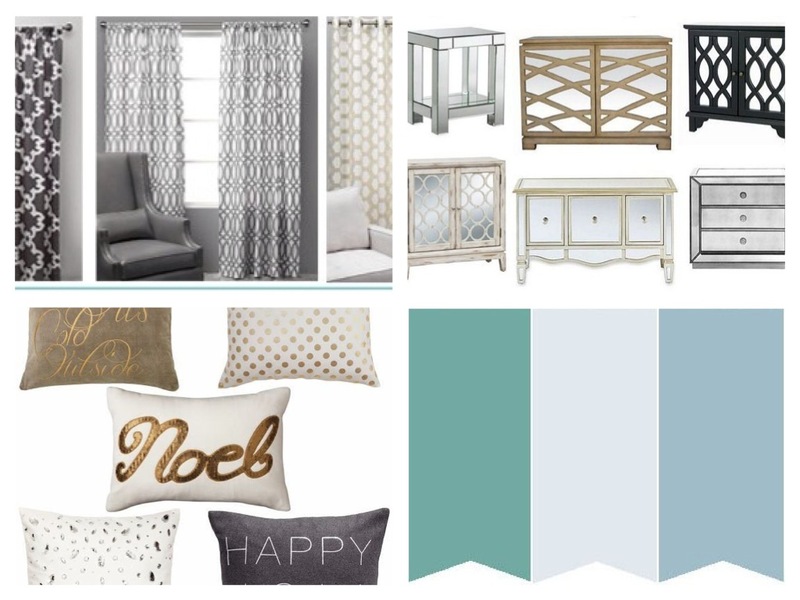 Thank you so much for joining me on this holiday in the Craft Room with of Shades Online DIY! To view our detailed video instructions click here!